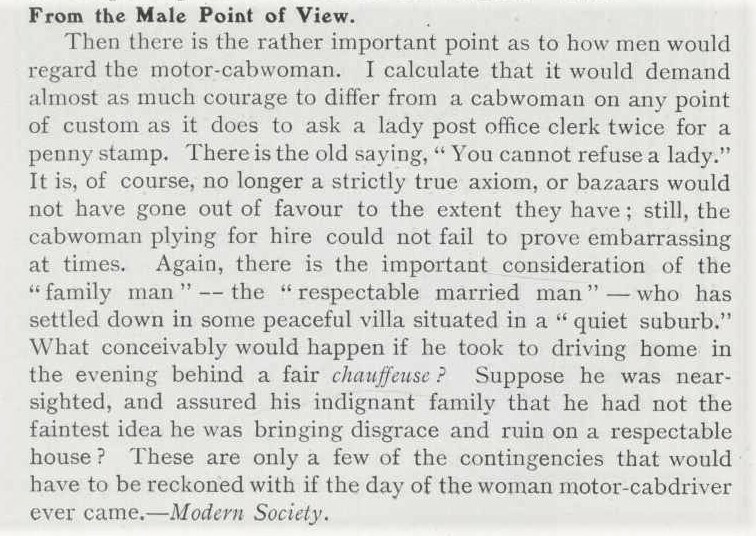 In the early days of motoring, most women were content to let their male chauffeurs drive and maintain their motor cars. 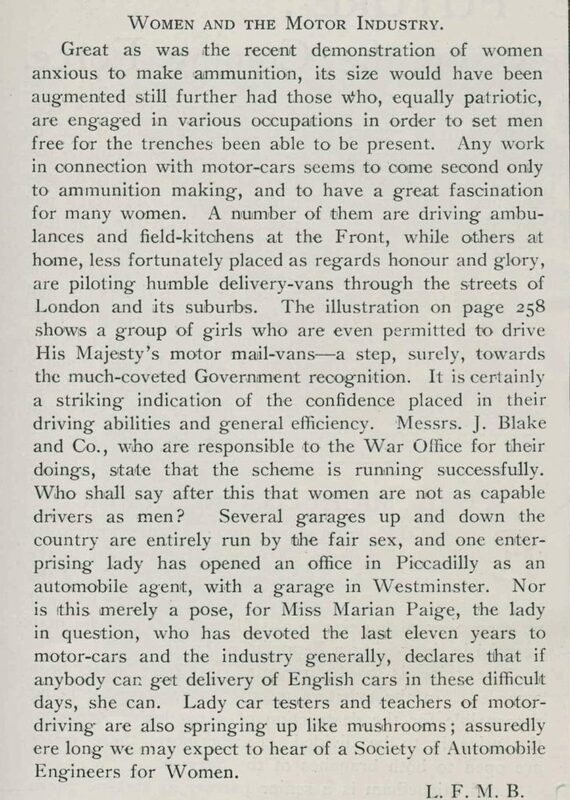 During this period, motoring was a rich person’s hobby so wealthy women would have been used to having staff to do these tasks for them. 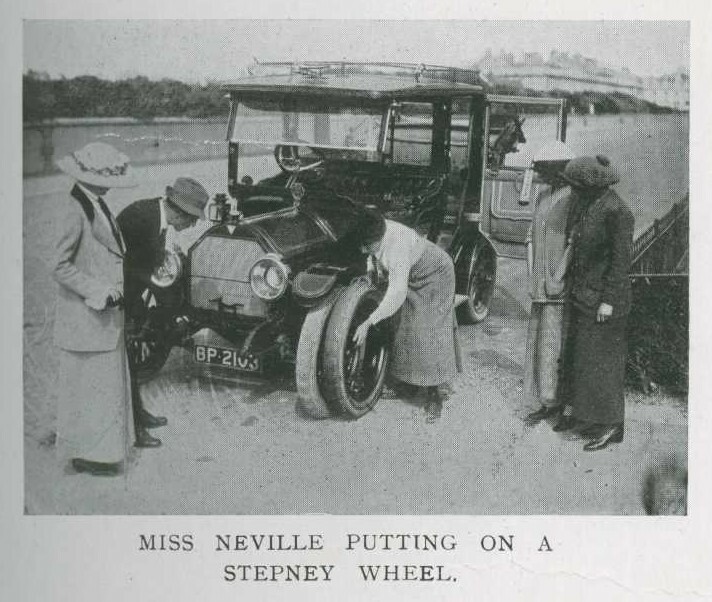 Those women that did drive and maintain their own cars were notable exceptions and often featured in the motoring journals. Some women took it further and saw an opportunity for careers that are still today often seen as traditionally male. The body could be configured as entirely open, partially closed or entirely closed, and as such is deemed “particularly suitable for an invalid’s use”. Research has revealed that Beatrice Saville was cousin to Princess Ludwig of Löwenstein-Wertheim, also a talented inventor, whose 1927 attempt to become the first woman to cross the Atlantic by plane ended in tragedy. 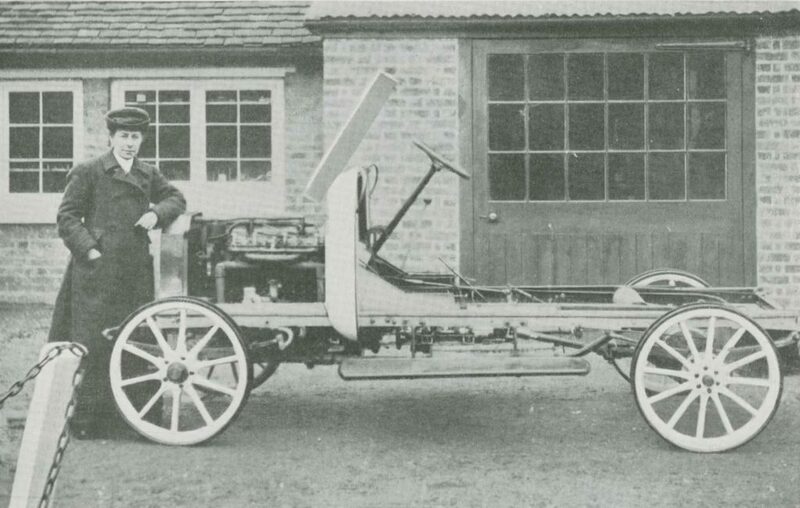 That lady is very expert with her tools, a good carpenter and leather worker, and her latest achievement has been the turning out of a chassis. 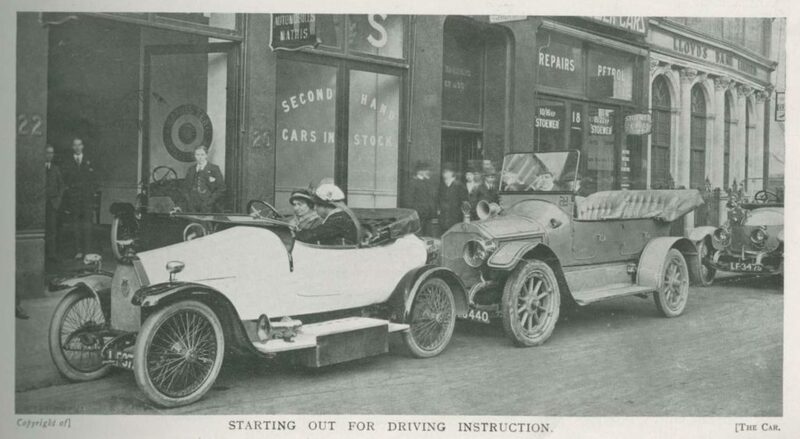 Students from the University of Southampton unearthed some fascinating stories of female chauffeurs during their research on The Drive for Change project. 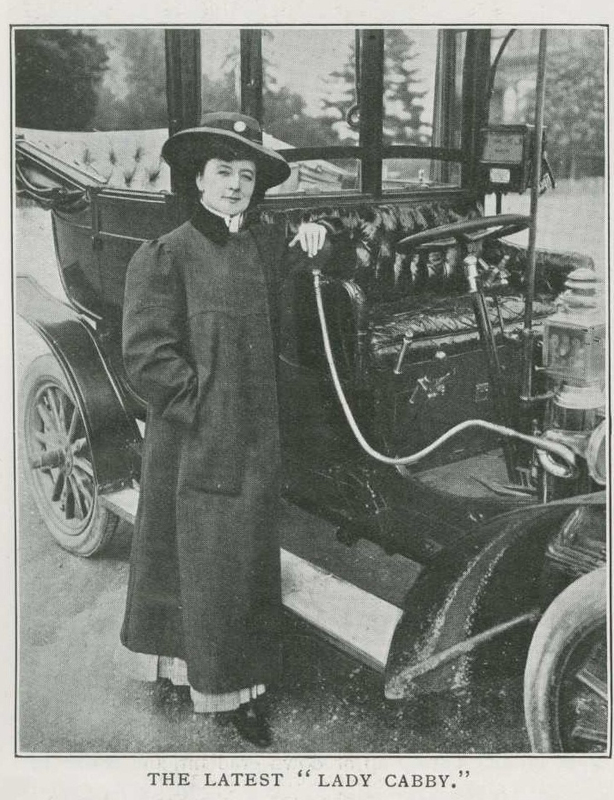 They include the story of Vera ‘Jack’ Holme, who was chauffeur to the Pankhursts and a militant suffragette. 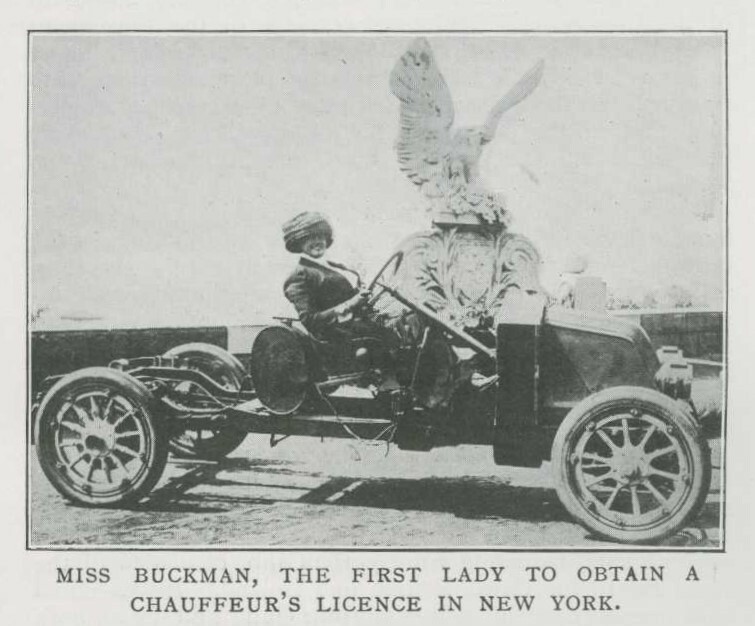 Car Illustrated mentions her in a 1911 piece titled ‘England’s Only Lady Chauffeur’3. They picture her signing a petition to King George V to cancel endorsements on licences in celebration of his coronation. There is no evidence to suggest whether this was successful or not but is most likely to be a case of extreme wishful thinking. 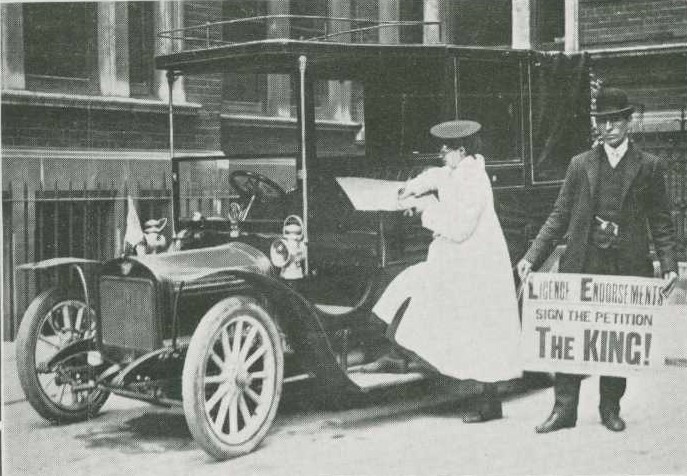 The article states that Vera Holme had been driving an Austin car for the Women’s Social and Political Union (WSPU) totalling over 50,000 miles. “Miss O’Neill”, as the lady calls herself, made her debut in very bad weather last week, but she seems determined to carry on the work. I much prefer being on the road – a sort of commercial traveller – to being in the showroom. To my mind it is easier to sell cars this way; and, also, it is a good advertisement for the cars one drives. Further research reveals that Gladys de Havilland was the sister of aviation pioneer Geoffrey de Havilland. 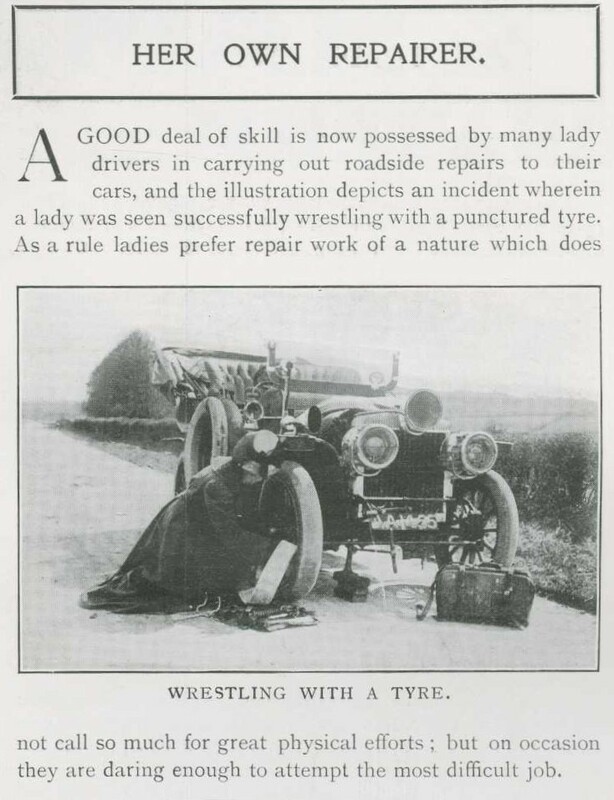 In 1918 she published ‘The Women’s Motor Manual’ which, in the context of the war, covered both civilian and military driving available to women at the time. The manual includes technical details of vehicles and maintenance tips. 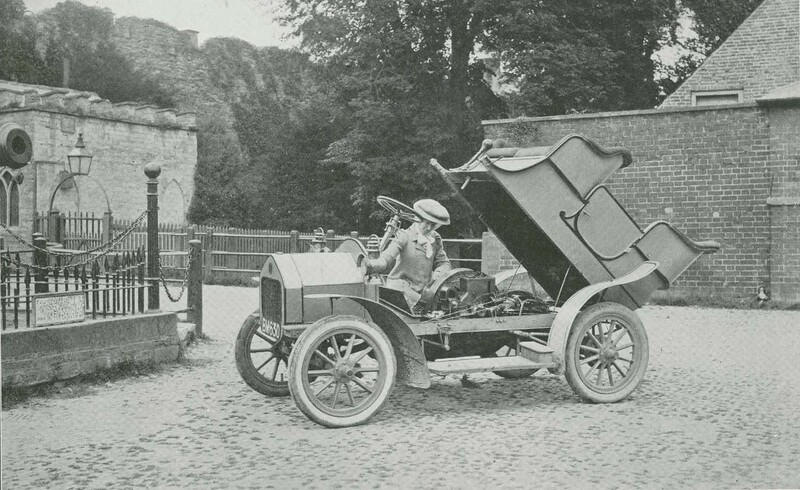 Gladys de Havilland also drove an Austin 7 “Chummy” around the world in 1928-29. The Car, No. 181, November 8, 1905, p.383. The Car, No. 297, January 29, 1908, p.503. The Car, No. 471, May 31, 1911, p.92. The Car, No. 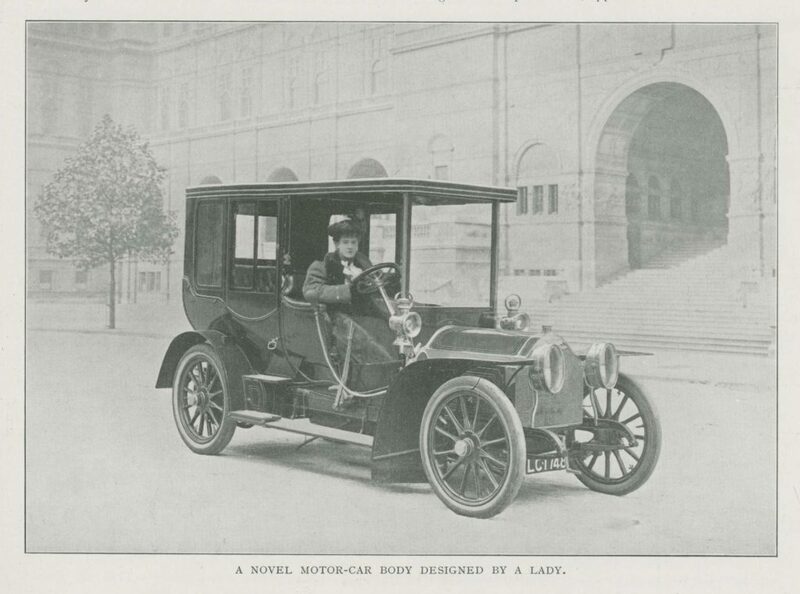 429, August 10, 1910, p.431. The Car, No. 252, March 20, 1907, p.224. The Car, No. 247, February 13, 1907, p.639. The Car, No. 285, November 6, 1907, p.484. The Car, No. 346, January 6, 1909, p.370. The Car, No. 618, March 25, 1914, p.215. The Car, No. 147, March 15, 1905, p. 123. The Car, No. 537, September 4, 1912, p. x. The Car, No. 589, September 3, 1913, p. xi. The Car, No. 688, July 28, 1915, p.259.